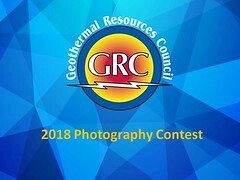 Europe: Five Finalists Announced for Ruggero Bertani European Geothermal Innovation Award - The European Geothermal Energy Council (EGEC) is pleased to announce the five endorsed nominations for the Ruggero Bertani European Geothermal Innovation Award 2019. USA, Idaho: New Legislation Would Allow More Direct Use of Geothermal Heat from Wells- Lawmakers have introduced legislation that would allow a well driller who hits geothermal water to use that water for uses other than its heat value in some cases. Finance: More Private Companies Buying Renewable Energy - Report - More than 60% of the global activity in 2018 occurred in the U.S., where companies signed PPAs to purchase 8.5 GW of clean energy, nearly triple the amount signed in 2017. Germany: Good Progress at 50 MWth Munich Geothermal District Heating Project- Munich’s publicly-owned utility company, Stadtwerke München, has completed the drilling of a second well for the city’s geothermal heating plant, reaching a depth of 3,044 m and temperatures of 108°C. Sweden: Geothermal Heat Module Pioneer Receives Major Award - Swedish magazine Fokus has named Climeon's founder and CEO Thomas Öström Swedish Person of the Year in the Innovation category. Indonesia: Consortium Formed to Develop Geothermal Energy on Flores Island - Eastern Indonesia Geothermal Consortium consists of North Tech Energy (Iceland), Turboden SpA and SATE Ltd, which are interested in developing a geothermal field on Flores Island to meet electricity demand in the East Nusa Tenggara Province. USA, California: Bankruptcy Could Allow PG&E to Cancel Renewable-Energy Contracts - In a court filing Tuesday, PG&E told the bankruptcy judge it wants the authority to cancel some of its renewable-energy contracts – many of which force PG&E to buy power at above-market rates. USA, Nevada: Employment Opportunity as Exploration Manager at Ormat - This position is responsible for coordination of personnel and project management with other Resource Managers and reports to the Vice President, Geothermal Resource.